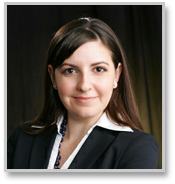 Bethany R. Kennedy joined Emord & Associates in 2008 as a law clerk, and is now an associate attorney. She practices food and drug law, civil litigation, deceptive advertising law, constitutional law, and administrative law. in ASU’s Capitol Scholars Program, travelling to Washington, D.C. to intern at the U.S. Department of Transportation’s Federal Highway Administration Office of Transportation Policy. She graduated in 2009 from ASU’s Sandra Day O'Connor College of Law. In addition to her J.D., she graduated with a certificate in Law, Science and Technology, with an emphasis in Genomics and Biotechnology. While a law student, Bethany served as a judicial extern in the Criminal Division of the Maricopa County Superior Court, and as a rules extern at the Arizona Department of Health Services, Office of Administrative Counsel and Rules.